Our elders deserve the best care possible. Aged care facilities in New Zealand are always on the lookout for ways to improve the kind of services they offer and Geras brings a system for such improvement. 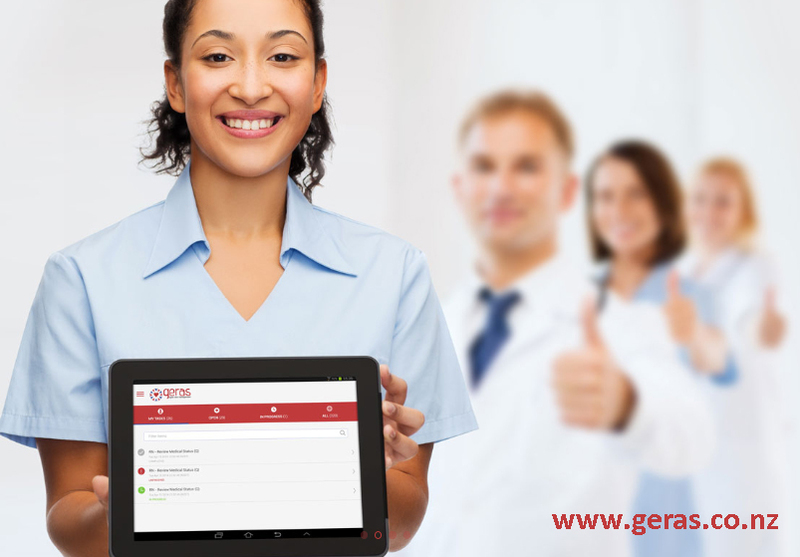 Geras is a cloud-based software solution for resident care homes. The main goal is to help owners, nurses, and caregivers maintain the highest possible level of management and assistance. With Geras, elderly care facility will be able to focus on meeting the individual needs of each senior client while effectively and efficiently managing the other aspects of the operation. Resident Administration. Geras can effectively manage resident care and administration by allowing you to check and access all resident’s pertinent data such as personal and medical information. It will also include elder’s assessment, daily report, laboratory test results, nursing care, doctor’s clinical record, and other related details. Workload Management. When shift changes, turning over of patient’s reports can take a lot of time. But Geras has effectively mastered the art of aged care facility management which includes day-to-day workload assignment while ensuring swift and fast transition. Facility Management. Part of what makes Geras the leading aged care facilities software in New Zealand is its ability to help you manage your elder home better. This section includes employee information, roster management, security check, quality risk assessments and document management among other things. All these can be accessed easily without using so many jargon. User-Friendly Dashboard. This feature gives a visual presentation of all the information you need. The dashboard has drop-down menus with easy-to-open and clickable files and folders. Generate Compliance and Facility Report. Geras also allows you to create an organize summary of information that suits your organization. The summary reports can be customized based on your preference. Best of all, Geras will upload your data and records in just one click. No time will be wasted on inputting records manually. You will also receive onsite setup as well as training. The onsite support team can answer all your questions and concerns. This clearly shows that this cloud-based software solution for resident health care facilities got you covered. Interested for a free demo? Get in touch with us today.